Each September brings a flurry of excitement and anxiety for parents, teachers, and students. Beginning in September 2002 another factor was added to the list: how and what to teach about 9/11. 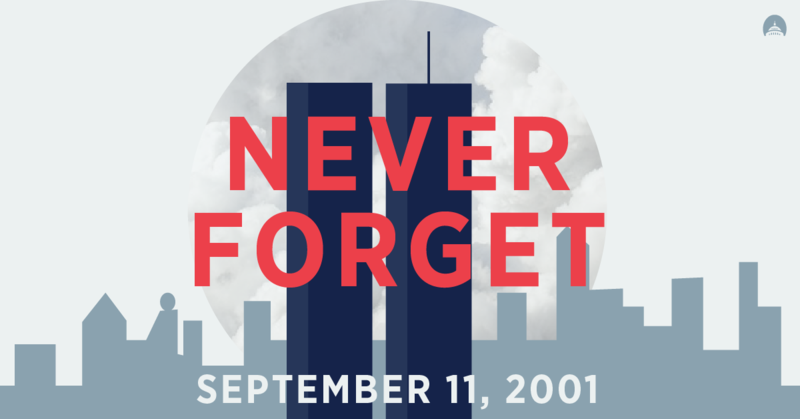 “Never forget” became a national rallying cry after the attacks of Sept. 11, 2001. Yet America’s schools — where collective memory is shaped — are now full of students who never knew. Because they weren’t alive 17 years ago. In fact, most individuals under the age of 30 have limited or no memories of the world before the attacks of September 11,2001 and were certainly not old enough to fully understand how the subsequent U.S. response, including the so-called “War on Terror” and its resulting policies, impacted human rights. As such, many teachers struggle with whether and how to teach the attacks and their aftermath, but, in order to never forget, our children need to be taught about 9/11. More importantly, they need to understand how changes in U.S. national security policy post-9/11 continue to manifest themselves in new and different ways today, even as public and media attention wanes. These trends are especially apparent among young people, who reportedly demonstrate low rates of awareness of issues such as indefinite detention or drone strikes, and often exhibit lower levels of civic participation around national security and human rights issues. That’s where Human Rights in National Security: An Educator’s Toolkit comes in. The events of the past seventeen years are highly relevant in a number of academic disciplines: civics, political science, law, literature, film, religious studies, international relations, and more. This toolkit provides educators with lesson plans and resources to address these issues in the classroom and to empower students to assess their developments through a human rights lens. It also aims to increase participation among high school and college students in activism and advocacy around torture, surveillance, anti-Muslim hate, indefinite detention, and other common human rights violations associated with post-9/11 U.S. policy. Need support? If so, please email us. 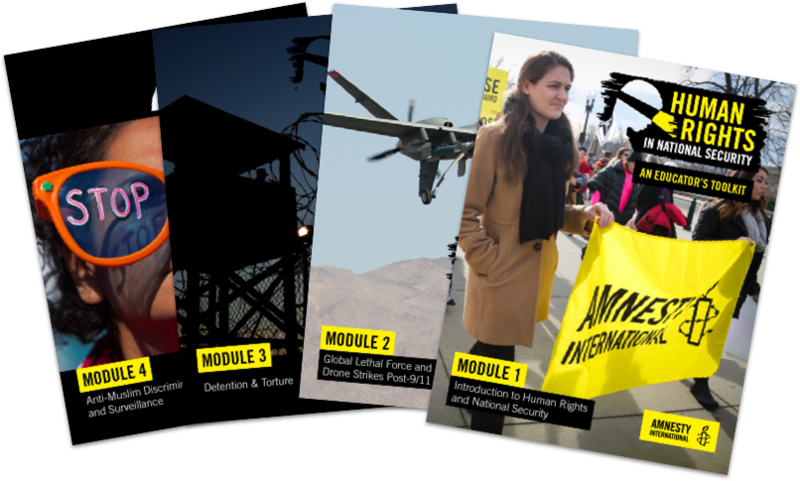 Human Rights Educators USA has teamed up with Amnesty International USA to gather feedback and improve this resource.